Not much daylight at this time of year. The swimming complex in Sollentuna aims to let it all in. 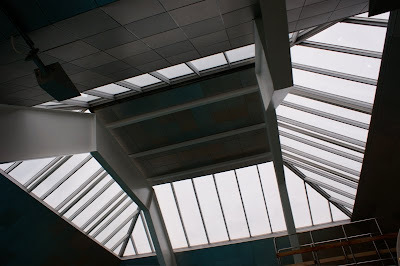 Here's the glassy roof.